Don Logan was born in 1946 in Glendale, California. After completing his bachelor's degree in History at San Fernando Valley State College, he entered Officer Training School at Lackland AFB, Texas, on August 13, 1969, earning his commission as a 2d Lt in the U.S. Air Force on November 13, 1969. Lt Logan completed Undergraduate Navigator Training and was awarded his navigator wings at Mather AFB, California, in March 1971, and then completed F-4 Phantom II Weapon Systems Officer (WSO) training in September 1971. 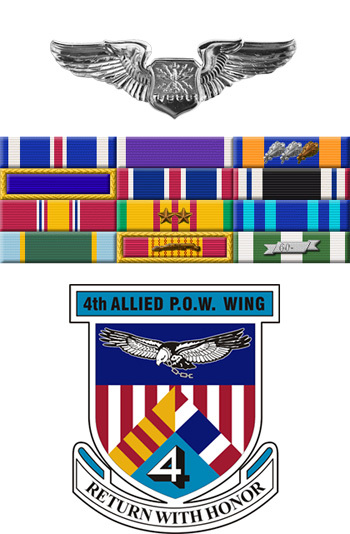 He then served as an F-4 WSO with the 469th Tactical Fighter Squadron at Korat Royal Thai AFB, Thailand, from November 1971 until he was forced to eject over North Vietnam and was taken as a Prisoner of War on July 5, 1972. After spending 268 days in captivity, Capt Logan was released during Operation Homecoming on March 29, 1973. He was briefly hospitalized to recover from his injuries at March AFB, California, and then completed F-111 Aardvark WSO Combat Crew Training in October 1975. His final assignment was as an F-111 WSO with the 429th Tactical Fighter Squadron at Nellis AFB, Nevada, from October 1975 until he left active duty on February 28, 1977. After leaving the Air Force, Don worked for the North American Aircraft Division of Rockwell International in Los Angeles, California, where wrote flight manuals for the B-1 program in 1977, and with Northrop writing manuals for the F-5 fighter program in 1978. He then worked for Boeing in Wichita, Kansas, writing flight manuals for the B-52, B-1B, E-8A, and RF-4C and F-4E from October 1978 until his retirement in February 2002. Don has published several books on U.S. Air Force subjects, including books on the B-1B Lancer, the A-10 Thunderbolt II, the F-111 Aardvark, the B-52 Stratofortress, and the F-117 Night Hawk. During the Vietnam War, he flew 133 combat missions over North and South Vietnam, and Laos. 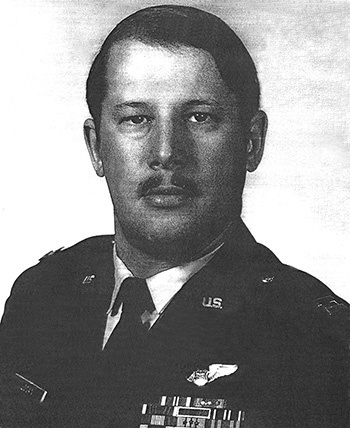 First Lieutenant Donald K. Logan distinguished himself by extraordinary achievement while participating in aerial flight as an F-4E Weapon Systems Officer over Southeast Asia on 24 June 1972. On that date, Lieutenant Logan flew in the number two aircraft in a flight of four F-4E fighter-bombers which struck a steel factory deep inside hostile territory. Despite numerous surface-to-air missiles which were fired at the flight, as well as intense and highly accurate antiaircraft artillery, Lieutenant Logan aided the Aircraft Commander in accurately placing their ordnance on target, resulting in three large secondary explosions and three heavily damaged buildings. The professional competence, aerial skill and devotion to duty displayed by Lieutenant Logan reflect great credit upon himself and the United States Air Force. 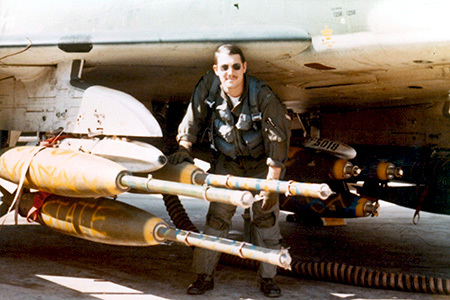 Don Logan with his F-4 Phantom II in Vietnam, circa 1972.